Samuel Y. Haupt, 47th Pennsylvania Volunteers (c. 1863, public domain). On 16 February 1853, Peter Haupt wed Mary Niehart at Sunbury. They were united in marriage by Frederick Lazarus, Esq. Together, they resided in Sunbury, Northumberland County, and welcomed to the world the following children: Lewis (born in Sunbury 9 August 1853), William Peter (born in Sunbury 8 January 1856), Mary Catharine (born in Danville, Montour County 11 March 1858), and Isaac Elwood Haupt (born in Sunbury 16 May 1860). Still residing in Sunbury in 1860 with his wife and four children, Peter Haupt supported his family as a carpenter. 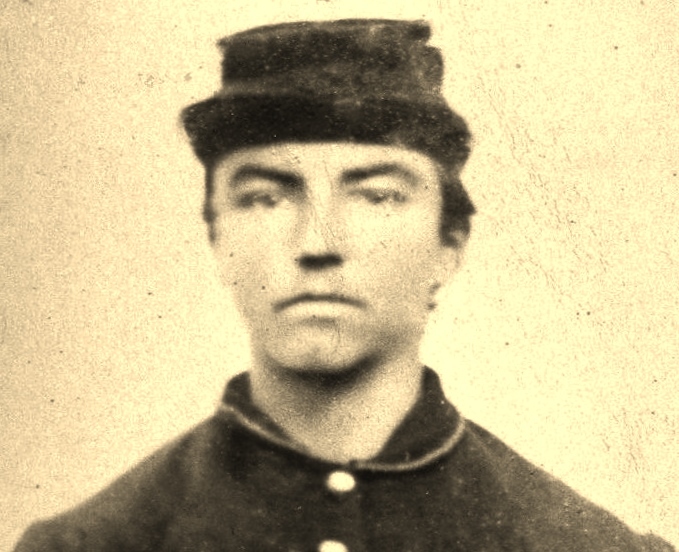 Caught up in his town’s spirit of support for preservation of the Union, young Freeman Haupt enrolled for military service at Sunbury, Northumberland County, Pennsylvania on 19 August 1861. He then officially reported for duty at Camp Curtin in Harrisburg, Dauphin County, Pennsylvania, and mustered in as a Private with Company C (the “Sunbury Guards”) of the 47th Regiment, Pennsylvania Volunteer Infantry on 2 September 1861. Although military records at the time described him as being 19 years of age, the 5’7” tall student from Sunbury with dark hair, gray eyes and a light complexion had been born in 1845, and was therefore only just 16. Joining him was his brother, Samuel Y. Haupt, who also enrolled and mustered in on the same dates at the same locations as a Private with Company C of the 47th Pennsylvania. It appears, from military records, that Samuel Haupt may also have lied slightly about his age. Those same records described him as being a 20-year-old student who was 5’8” tall with light hair and gray eyes. Meanwhile, their elder brother, Peter Haupt, also decided to leave the security of his job as a 29-year-old Sunbury cabinet maker. He enrolled for military service in the Haupt’s hometown of Sunbury on 17 September 1861, and then also mustered in as a Private with Company C, 47th Regiment, Pennsylvania Volunteer Infantry – on 26 September 1861 at Camp Kalorama, where his brothers and new fellow regiment members were stationed. Military records described him as being 5’9” tall with black hair, gray eyes and a dark complexion. On 24 September, the 47th Regiment, Pennsylvania Volunteer Infantry finally became part of the U.S. Army when its men were officially mustered into federal service. On 27 September, the 47th Pennsylvania was assigned to Brigadier-General Isaac Stevens’ 3rd Brigade, which also included the 33rd, 49th and 79th New York regiments. By that afternoon, the 47th Pennsylvania was on the move again. Ordered onward by Brigadier-General Silas Casey, the Mississippi rifle-armed 47th Pennsylvania infantrymen marched behind their regimental band, and headed for Camp Lyon, Maryland on the Potomac River’s eastern shore. At 5 p.m., they joined the 46th Pennsylvania in moving double-quick (165 steps per minute using 33-inch steps) across the “Chain Bridge” marked on federal maps. 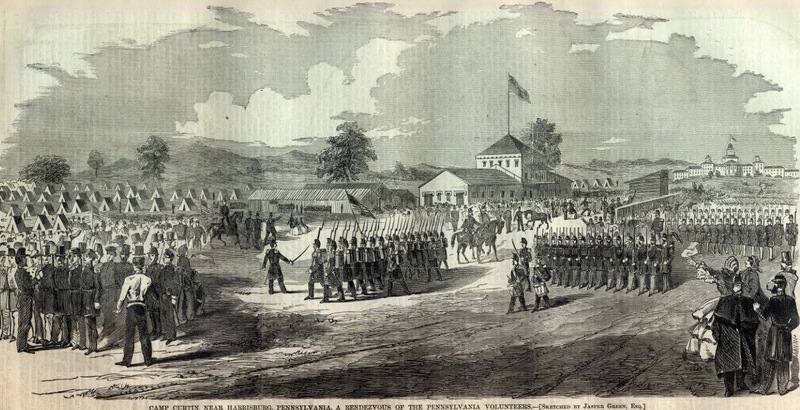 On October 11, the 47th Pennsylvania Volunteers marched in the Grand Review at Bailey’s Cross Roads after having been ordered with the 3rd Brigade to Camp Griffin. In a mid-October letter home, the Haupt brothers’ commanding officer – Captain John Peter Shindel Gobin – reported that companies D, A, C, F and I (the 47th Pennsylvania’s right wing) were ordered to picket duty after the left wing companies (B, G, K, E, and H) had been forced to return to camp by Confederate troops. As a reward for their performance that day – and in preparation for the even bigger events which were yet to come, Brigadier-General Brannan issued a directive to his subordinates that brand new Springfield rifles be obtained for every member of the 47th Pennsylvania Volunteers. Next ordered to move from their Virginia encampment back to Maryland, the 47th Pennsylvania Volunteers left Camp Griffin at 8:30 a.m. on Wednesday, 22 January 1862, marching through deep mud with their equipment for three miles in order to reach the railroad station at Fall Church. Sent by rail to Alexandria, they then sailed the Potomac via the steamship City of Richmond to the Washington Arsenal, where they were reequipped before they were marched off for dinner and rest at the Soldiers’ Retreat in Washington, D.C. The next afternoon, the 47th Pennsylvanians hopped railcars on the Baltimore & Ohio Railroad, and headed for Annapolis, Maryland. Arriving around 10 p.m., they were assigned quarters in barracks at the Naval Academy. They then spent that Friday through Monday (24-27 January 1862) loading their equipment and other supplies onto the steamship Oriental. 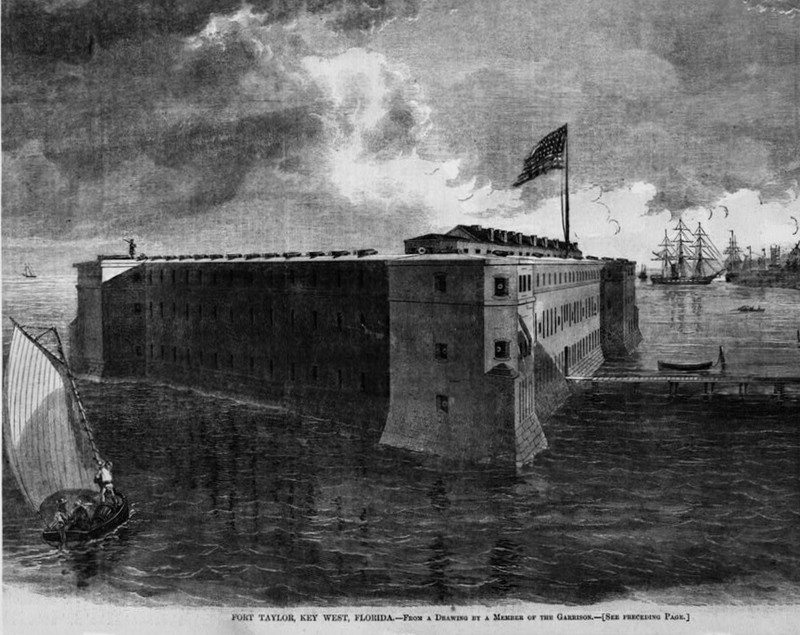 By the afternoon of Monday, 27 January 1862, the 47th Pennsylvania Volunteers had commenced boarding the Oriental. Ferried to the big steamship by smaller steamers, the enlisted men boarded first while the officers boarded last. 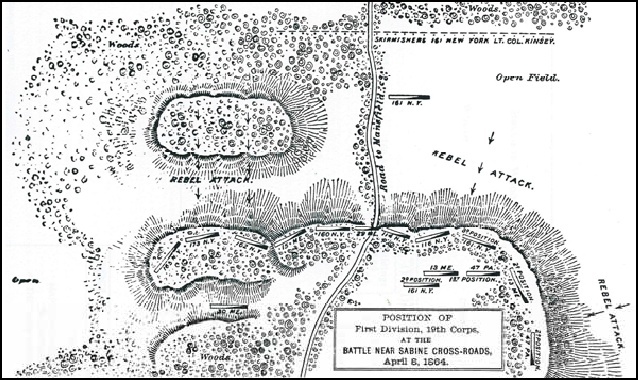 Then, per the directive of Brigadier-General Brannan, the Oriental steamed away for the Deep South at 4 p.m. 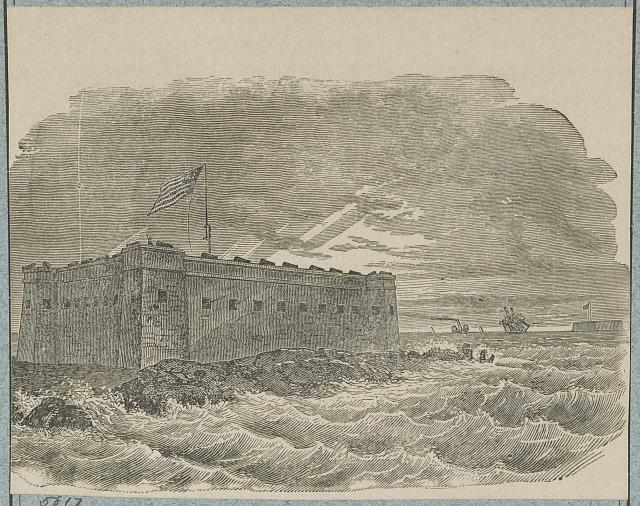 They were headed for Florida which, despite its secession from the Union, remained strategically important to the Union due to the presence of Forts Taylor and Jefferson in Key West and the Dry Tortugas. In early February 1862, the Haupt brothers arrived in Key West with their fellow members of the regiment, and were assigned to garrison Fort Taylor. On 14 February, the regiment made itself known to area residents via a parade through the streets of the city. Gen. Brannan has appointed me Deputy Judge Advocate General of the Department of Key West, giving me Supervision of all law proceedings on the island. I have Samuel Haupt for my clerk, and it keeps us both busy. I have a splendid office in the barracks – everything nice as can be. It beats the one at home all to pieces… The weather continues very warm. But in reality, the 47th’s early days here were not easy. Drilling daily in heavy artillery tactics, members of the regiment also bolstered the federal facility’s fortifications, felled trees and helped to build new roads. In addition, several 47th Pennsylvanians fell ill, largely due to poor sanitary conditions and water quality. Still, the majority of the men soldiered on and faithfully, effectively performed the duties they were assigned; several were recognized for their contributions, including Private Peter Haupt, whose service was so appreciated that he was promoted from the rank of Private directly to the rank of Sergeant on 1 April 1862 (rather than having to be first be promoted to the rank of Corporal). Losses for the 47th Pennsylvania were significant. Among others, two company captains from the 47th Pennsylvania were lost and, on 22 October 1862, Sergeant Peter Haupt and his brother, Private Samuel Y. Haupt, were wounded in action. Samuel suffered a wound to his chin and survived, but sadly, Peter did not. The cause of Sergeant Peter Haupt’s death, listed by his physician on the Union Army hospital’s death ledger, was “traumatic tetanus.” His remains were returned home, and he was laid to rest at the Sunbury Cemetery in Sunbury Northumberland County, Pennsylvania. * Note: Peter Haupt’s widow, Mary, never remarried, and soldiered on for more than five decades without her husband. By 8 January 1918, having developed age-related dementia, she required the care of at least two physicians and a nurse. Ten days before her death, according to her physicians, she developed a “virulent infection of right wrist.” She passed away on 1 May 1918, in Sunbury, Northumberland County, Pennsylvania, and was interred at the Sunbury Cemetery. Also mentioned in these pension records was Charity Haupt, the wife of William P. Haupt and sister-in-law of Mary Catharine (Haupt) Garinger. Charity had been named the beneficiary of a $100 Prudential insurance policy created by her mother-in-law, Mary (Sergeant Peter Haupt’s widow). Charity had paid the premiums until her mother-in-law turned 75. With the policy paid in full, the funds were then disbursed back to Charity – most likely because, in 1912, Charity had been widowed by her husband, William, who had died at the State Hospital in Danville, Montour County after having been institutionalized there. Private Samuel Y. Haupt was one of those who re-upped for a second three-year tour of duty. Honorably discharged pursuant to General Order No. 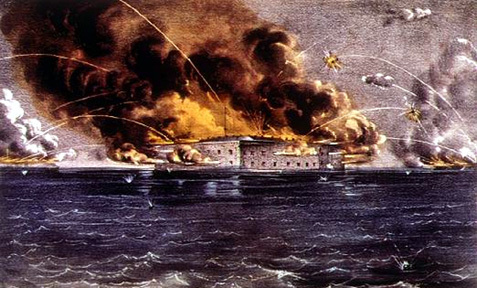 191, he re-mustered on 18 December 1863 at Fort Taylor in Key West, Florida. Although the date of his promotion to the rank of Corporal is unknown, it likely occurred at or around this time since a number of the men from the 47th Pennsylvania who chose to re-enlist received promotions upon re-enrollment. Private Freeman Haupt was honorably discharged at Fort Taylor on 21 December 1863, also pursuant to General Order No. 191. Although one military record indicates that he also re-enlisted six days later on 29 December 1863, most indicate that he finished his service on 21 December and returned home. Casualties were severe. 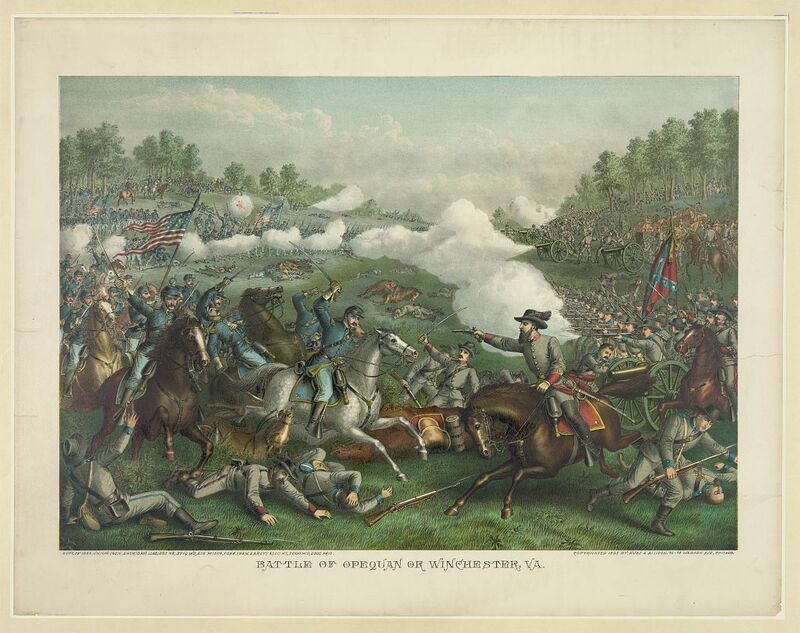 Among others, the regiment’s second in command, Lieutenant Colonel Alexander, was nearly killed, and the regiment’s two color-bearers, both from Company C, were also seriously wounded while preventing the American flag from falling into enemy hands. Still others were captured, marched roughly 125 miles to Camp Ford, a Confederate Army prison camp near Tyler, Texas, and held there as prisoners of war (POWs) until being released in prisoner exchanges in July or later. At least two members of the 47th Pennsylvania never made it out of the prison alive. 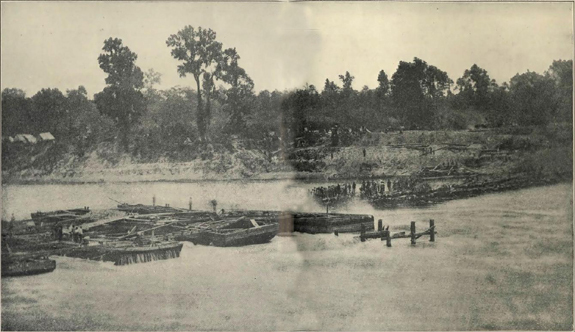 Beginning 16 May, Samuel Y. Haupt and his fellow Sunbury Guardsmen moved with most of the 47th from Simmsport across the Atchafalaya to Morganza, and then to New Orleans on 20 June. Still able and willing to fight after their time in Bayou country, the soldiers of Company C and their fellow 47th Pennsylvanians from Companies A, D, E, F, H, and I returned to the Washington, D.C. area aboard the McClellan beginning 7 July 1864. During this transitional phase, several members of the regiment were left behind to convalesce at Union Army hospitals in Louisiana or Florida; others were discharged in the Deep South on Surgeons’ Certificates of Disability or aboard ship. After arriving in Virginia and their memorable encounter with President Abraham Lincoln, the men from Companies A, C, D, E, F, H, and I joined up with Major-General David Hunter’s forces at Snicker’s Gap (also known as the “Battle of Cool Spring”), where they assisted in defending Washington, D.C. while also helping to drive Confederate troops from Maryland. Attached to the Middle Military Division, Army of the Shenandoah beginning in August, September saw the promotion of a number of men from the regiment, including 1st Lieutenant Daniel Oyster who was promoted to the rank of Captain and assumed command of C Company when John Peter Shindel Gobin began his march up the chain of command. Still others departed upon expiration of their respective three-year terms of service. For the remaining members of the 47th, the fighting was not yet over; those still on duty were about to engage in their regiment’s greatest moments of valor. Moving forward, the surviving members of the 47th Pennsylvania Volunteers would continue to distinguish themselves in battle, but they would do so without two more of their respected commanders: Colonel Tilghman Good and Good’s second in command, Lieutenant Colonel George Alexander, who mustered out 23-24 September upon the expiration of their respective terms of service. Fortunately, they would be replaced with leaders who were equally respected for their front line experience and temperament. Once again, the casualties for the 47th were high. Sergeant William Pyers, the C Company man who had so gallantly rescued the flag at Pleasant Hill was cut down and later buried on the battlefield. Perry County resident and Regimental Chaplain William Rodrock suffered a near miss as a bullet pierced his cap. Others killed in action were buried where they fell; a number of the many wounded were treated and then discharged on Surgeons’ Certificates while some returned to duty. As with the Battle of Pleasant Hill, Louisiana six months earlier, others were captured and taken to Confederate prison camps, including Salisbury and the infamous hellhole which still makes Americans shudder at its name – Andersonville. Afterward, the 47th was ordered to Camp Russell near Winchester from November through most of December. Samuel Y. Haupt was promoted to the rank of Sergeant on 1 November 1864. Three days later, on 4 November, Major John Peter Shindel Gobin was also promoted. Now holding the rank of Lieutenant Colonel, the Sunbury Guardsman assumed command of the entire regiment. Rested and somewhat healed, the 47th was next ordered to outpost and railroad guarding duties at Camp Fairview in Charlestown, West Virginia in December. Five days before Christmas, they trudged through a snowstorm in order to reach their new home. Assigned in February to the Provisional Division of the 2nd Brigade of the Army of the Shenandoah, the men of the 47th moved back to Washington, D.C. via Winchester and Kernstown. 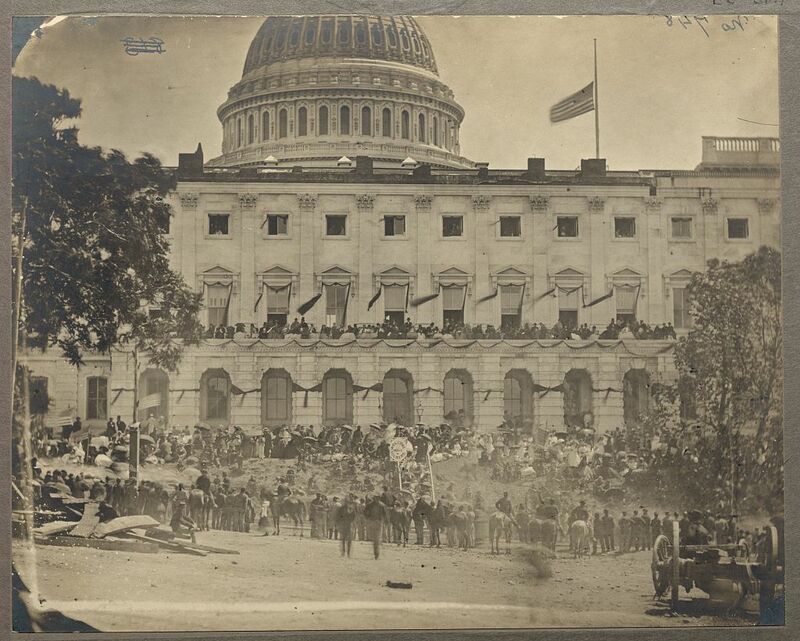 By 19 April, the 47th Pennsylvania Volunteers were once again responsible for helping to defend the nation’s capital – this time following the assassination of President Abraham Lincoln. Encamped near Fort Stevens, they received new uniforms and were resupplied. Letters home and later newspaper interviews with survivors of the 47th Pennsylvania indicate that at least one 47th Pennsylvania Volunteer was given the high honor of guarding President Lincoln’s funeral train while others may have guarded the Lincoln assassination conspirators during the early days of their imprisonment and trial. As part of Dwight’s Division of the 2nd Brigade of the Department of Washington’s 22nd Corps, the 47th Pennsylvania also participated in the Union’s Grand Review on 23-24 May. 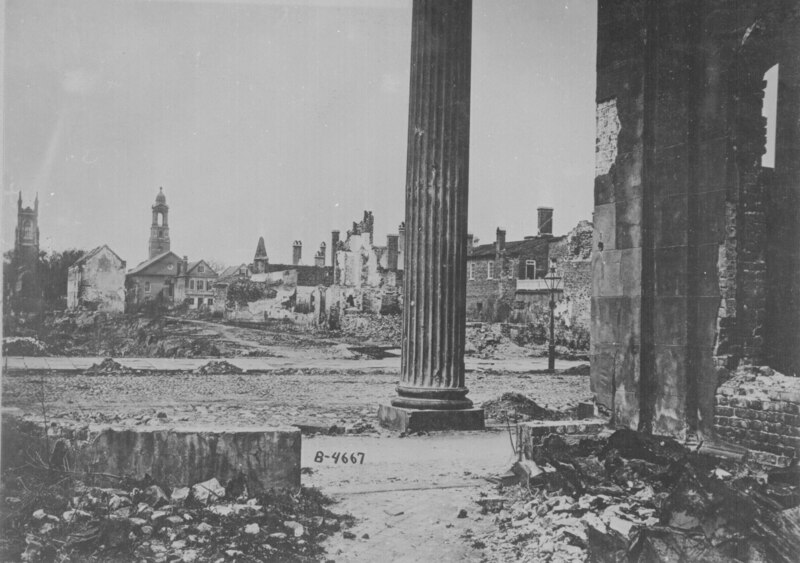 On their final southern tour, the remaining men of Company C and their fellow members of the 47th Pennsylvania served in Savannah, Georgia from 31 May to 4 June. Attached again to Dwight’s Division, this time they were with the 3rd Brigade, Department of the South. Relieving the 165th New York Volunteers in July, the soldiers of the 47th Pennsylvania next quartered in Charleston at the former mansion of the Confederate Secretary of the Treasury. Duties for the remainder of their tenure were Provost (military police) and Reconstruction-related, including the repair of railroads and other key infrastructure items that had been damaged or destroyed during the long war. Finally, beginning on Christmas day of that year, the majority of the men of Company C, 47th Regiment, Pennsylvania Volunteers – including 1st Sergeant Samuel Y. Haupt, who had been promoted to his new rank on 5 July 1865. They began to honorably muster out at Charleston, South Carolina, a process which continued through early January. Following a stormy voyage home, the 47th Pennsylvania disembarked in New York City. The weary men were then shipped to Philadelphia by train where, at Camp Cadwalader on 9 January 1866, the 47th Pennsylvania Veteran Volunteers were officially given their discharge papers. Following their respective honorable discharges from the military, the surviving Haupt brothers – Freeman and Samuel – returned home to Sunbury. In 1868, Samuel Y. Haupt married. By 1870, he and his wife, Amelia (born in Pennsylvania in July 1845), were living with their nine-month-old son, Maurice, in Sunbury where Samuel was employed as a teacher. Sometime around 1874, they welcomed son, Ralph, to the world. In 1874, William P. Haupt, son of the late Sergeant Peter Haupt and nephew of Peter’s surviving brothers Freeman and Samuel, married Mary Charity Farrow (1851-1931). Born in Snydertown on 26 October 1851, she was a daughter of John and Annetta (Smith) Farrow. But the decade was not an entirely happy one for the Haupt clan. Having contracted consumption, Freeman Haupt died on 25 January 1874, roughly two months shy of his 30th birthday. He was interred at the Sunbury Cemetery where his brother, Peter, had been brought home to rest in 1862 after being cut down during the Battle of Pocotaligo. By 1880, Samuel Y. Haupt and his wife, Amelia (1841-1914) were residing in Scranton, Lackawanna County with sons Maurice and Ralph. There, Samuel was employed as a lumber dealer. By 1900, Samuel and Amelia were living alone in their Scranton home while Samuel continued working in the lumber trade. He retired sometime before 1910. This decade became another one of loss for the Haupt clan. In 1912, William P. Haupt, the son of Sergeant Peter Haupt, passed away in Danville, Montour County. His remains were brought home to Sunbury for burial. Then, in 1914, Amelia Haupt widowed her husband, Samuel, and was interred at the Dunmore Cemetery in Lackawanna County. Lewis D. Haupt, son of Sergeant Peter and Mary (Niehart) Haupt followed them in death on 26 December 1915, passing away at the Hahnemann Hospital in Philadelphia. His remains were also shipped home to Sunbury; he was interred on 27 December. The coroner determined that he had died of apoplexy. By 1920, Samuel Haupt was living with his son, Maurice, and Maurice’s wife, Minnie, in their Scranton home. Finally, on 26 October 1930, the heart of the last surviving Haupt brother gave out. Samuel Y. Haupt died in Scranton, Lackawanna County, Pennsylvania, and was laid to rest at the Dunmore Cemetery in Lacakwanna County on 29 October. 4. Haupt Family Baptismal, Marriage and Death Records, in Historic Pennsylvania Church and Town Records. Philadelphia: Historical Society of Pennsylvania. 5. Haupt Family Burial Records, in Pennsylvania Veteran’s Burial Index Cards. Harrisburg: Pennsylvania Department of Military and Veterans Affairs. 6. Haupt Family Death Certificates. Harrisburg: Commonwealth of Pennsylvania, Bureau of Health, Department of Vital Statistics. 7. Oration Delivered by A.N. Brice, Esq., on Decoration Day, May 28, 1875 (including a description of those wounded or killed in action, as well as what happened to surviving members of the 47th Pennsylvania’s C Company), in Sunbury American. Sunbury: 4 June 1875. 8. Peter and Freeman Haupt, in Card Records of Headstones Provided for Deceased Union Civil War Veterans, in Records of the Office of the Quartermaster General (Record Group 92, Microfilm M1845). Washington, D.C.: U.S. National Archives. 9. Peter and Mary Haupt, in U.S. Civil War Widows’ Pension Files. Washington, D.C.: U.S. National Archives. 1o. Schmidt, Lewis. A Civil War History of the 47th Regiment of Pennsylvania Veteran Volunteers. Allentown: Self-published, 1986. 11. U.S. Census. Washington, D.C. and Pennsylvania: 1850, 1860, 1870, 1880, 1900, 1910, 1920, 1930. U.S. Veterans’ Schedule. Washington, D.C. and Pennsylvania: 1890.